A plan to develop land around Salt Pond galvanized a neighbor, Ermine Lovell, to fight the project. Mrs. Lovell and her husband, Hollis Lovell, formed Salt Pond Areas Bird Sanctuaries, Inc. in 1961 and raised enough money to buy the land. The private land trust continued its mission and now owns approximately 200 acres of conservation land, including The Knob at Quissett and Bourne Farm in West Falmouth. 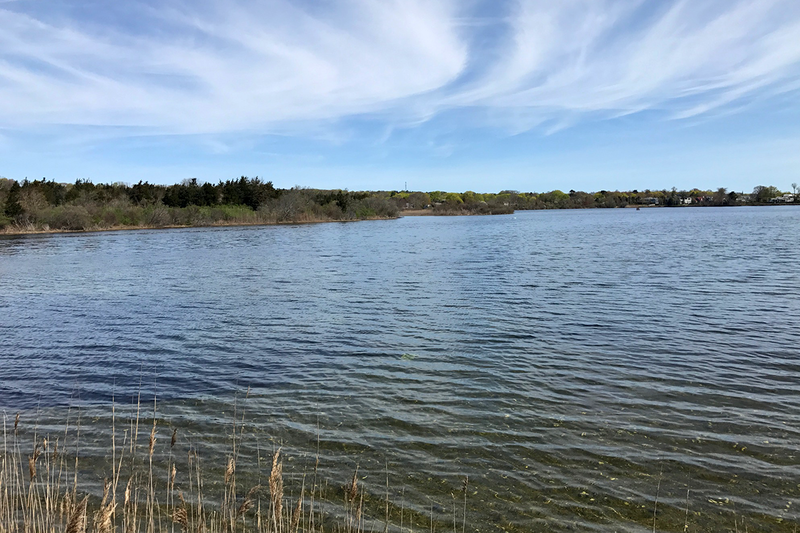 The 35-acre preserve lies between Salt Pond and the Shining Sea Bikeway, south of Locust Street/Woods Hole Road. Popular with birders, the sanctuary has several well-maintained trails through the low woods and along the edge of the pond. The paths can also be accessed from the bike path. A few parking spaces are available where the Shining Sea Bikeway crosses Elm Road.